This month’s featured house plan is one of our beautiful lake front house plans. 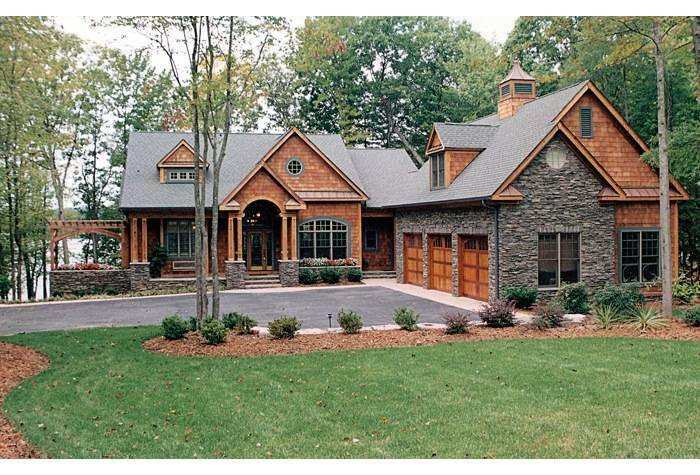 House Plan 3323-00340 has everything you could possibly want in a plan with scenic property! The floor plan has three floors including the terrace level with a total of 4.304 square feet. The basement level features a recreation room, three bedrooms, a wet bar and a winery. There is also additional room in the unfinished storage room as well. On the main level you will find abundant features that make this great for lake front house plans. On this level you will find the view is catered to the rear of the house where with views coming from the master suite, family room and they over sized sunroom. The plan also features a large covered rear porch for outside entertaining. The 3 car garage maximizes space in its courtyard design to fit perfectly on your lakefront lot. Lastly, you will find a bonus room above the garage that can be used as an additional media room, kids retreat, or an additional bedroom. 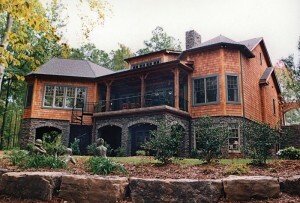 House Plan 3323-00340 comes with over 20 professional photographs with interior and exterior photos. This is one of our best selling lake front house plans and the price starts at $1,125.00 for 5 sets. You can also browse our other popular collections like house plans with photos or our best selling house plans.